Last edited by fluffy on Mon Jun 01, 2009 4:46 pm, edited 1 time in total. Last edited by cotton on Mon Jun 01, 2009 5:48 pm, edited 1 time in total. I'm soo glad he won! He definitely deserved this. He was so cute last night! When Andy Samberg was up there and some one said, "Hey Andy!" I knew that was Jim. I was like, "Oh, lord what's this boy gon do!" lol. He was cute he was hilarious. I liked his speech. What did everyone think of the performance Jim urged Andy to do? With LeAnn Rimes, Chris Issac, and Forest Whitaker? Jim CAME TO THE AWARD SHOW! "The Keifer Sutherland bit was funny, so was Jim Carrey's acceptance "speech". " My position during the show was the limo drop, which is where the stars go when they leave the show and hop into their ride. During the show but after all his hilarity, Sacha Baron Cohen was sitting in the back of a black SUV with the window rolled down. His head disappeared from view, which is really not a surprising occurrence, until the body that replaced his was Jim Carrey. I’m assuming they must have traded seats in the car. Off to the side, Dax Shepard and Kristen Bell were talking amongst themselves, when suddenly Dax ran over to the Jim-Sacha car and reached in to hug Jim Carrey and wave to Sacha, now sitting on the other side of the car. Cuz, ya know, no one knows Kristen Bell. Adorable. 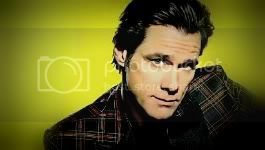 Jim Carrey then requested Samberg perform his hit digital shorts, and though he insisted the night was all about film. No they didn't... but someone else did that with their popcorn... The whole show was weird! WOW CANT WAIT TO C THE AWARDS!!!! I hope they show it here quick! So is like Jim GAY now? Last edited by fluffy on Mon Jun 01, 2009 9:39 pm, edited 2 times in total. I'm suprised he won this. (again) With the new date for 'Phillip Morris', I guess he and McGregor can be nominated for 'Best Kiss' next year. Can someone explain me what he's act was supposed to be? I can see it's a nerd, but ... according to some people he was making fun of someone. But who?